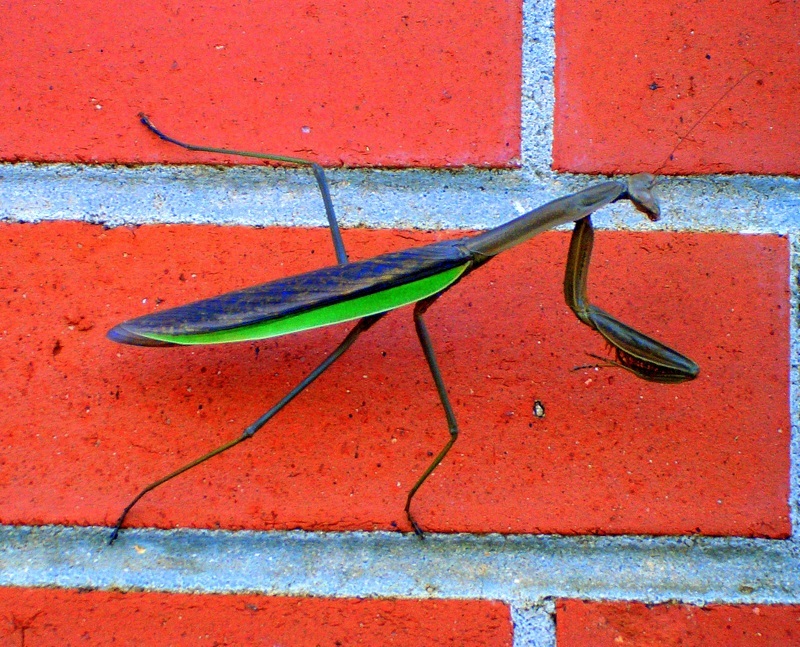 I found this fella on the wall on my way to class earlier this week. As those who follow my blog surely know I cannot resist a neat insect photo. On the other hand, the wasps who are making a home in the wall near the entry stairs to our home - those I don't need to photograph. They just need to DIE. And then there's this neat thing. I can only wear platinum in my ears, so I finally realized that rather than continue to wear the single pair of platinum hoops I have, I could get some platinum earwires made - ta da! 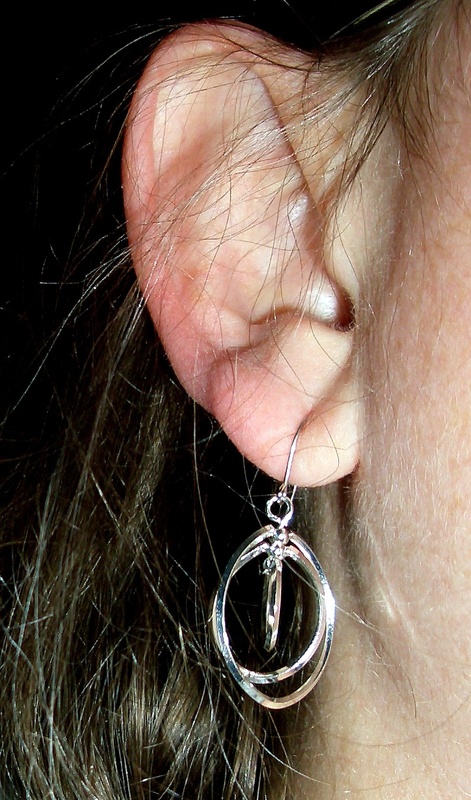 - and then just add other dangly bits below so I'd have an endless variety of earrings. Nifty, huh? I've been playing with ATCs lately. The one above is the start of a card featuring a photo of Milo in her halloween costume, which I'm editing into a coloring book page sorta thing. In addition, I've been working on a "signature" card for me. 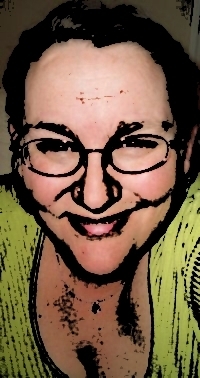 One of my first attempts at an image for it is below (made with the "comic" feature of my photo editing software.